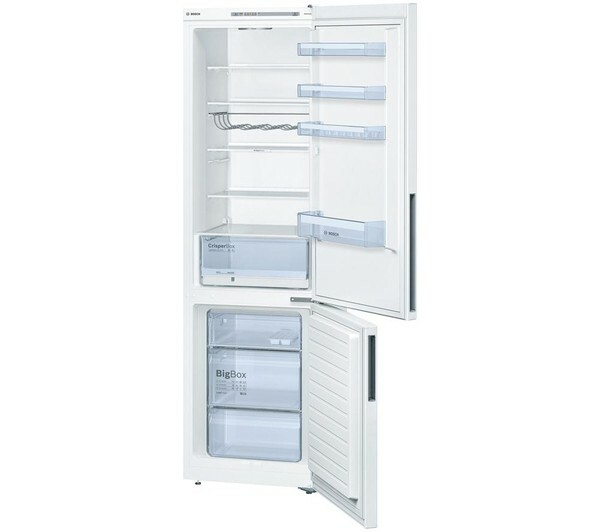 With the Bosch KGV39VW32G Fridge Freezer, keep your fresh food safe in the 250 litre fridge compartment, complete with five safety glass shelves that are adjustable to accommodate different items. A CrisperBox drawer allows you to keep your fruit and vegetables in the best possible conditions so that they stay fresh and crunchy for longer. It features a slider to increase or decrease humidity to suit what you're storing. You'll also benefit from four door compartments, an egg rack and a wine rack to help you neatly arrange your foodstuffs, bottles and jars. 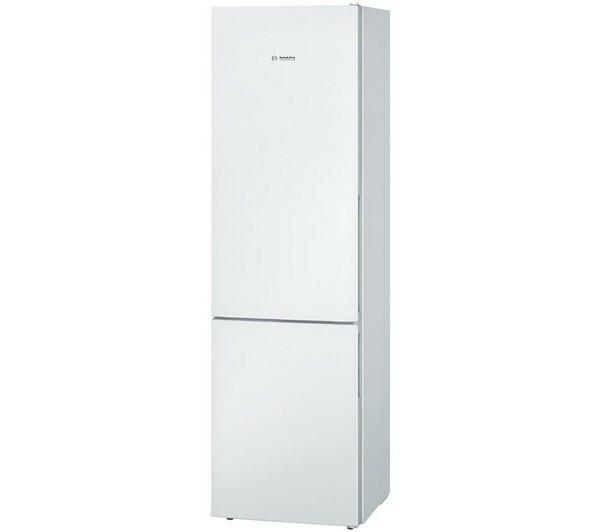 Whilst the freezer of the Bosch KGV39VW32G Fridge Freezer offers a big 94 litres of space that includes a handy BigBox that comfortably holds larger items such as frozen poultry or big tubs of ice cream. Thanks to LowFrost technology, you won't have to defrost your freezer as often, as ice accumulation is reduced by half. It's a great time and energy saving feature. Activate the SuperFreeze function in the freezer to lower internal temperatures for when you're introducing new groceries. They'll be frozen in much less time, locking in nutrients and protecting things you already have stored. The fridge offers LED lighting that brightly illuminates the cabinet so that you can clearly see what you're looking for, and helps use less energy.